Secretary of State John Kerry and EU foreign policy chief Katherine Ashton will meet with Iranian Foreign Minister Javad Zarif on 9-10 November in Muscat, Oman. The trio will push for a comprehensive deal before the 24 November deadline. Muscat was the site of secret meetings between Iran and the U.S. that led to interim nuclear deal, JPOA, last November. 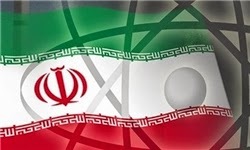 Formal talks on final deal will be held between P5+1 and Iran starting 18 November in Vienna. Good news, more top level talks.. Elsewhere I see the Leveretts remain pessimistic of a deal before the upcoming deadline.